Are you looking for a way to help others and at the same time make your own life more meaningful? There are many groups and organizations doing things in Sublette County to help people in need; furthering a great cause; taking care of animals; helping the environment; and more These organizations always appreciate volunteer help, financial donations, and the generous support of caring people who help and support their causes. If you are looking for a way to give your time and energy to give back to the community, scroll through these listings to find ways you can help support these good efforts and make a positive difference in the community and in your own life. Do a SHIFT or CTRL-Refresh in your browser to make sure you're seeing the most current version of this page. For more information about this page, call or text 307-360-7689 (anytime including after hours) or call Office Outlet in Pinedale 307-367-6763, fax: 307-367-2864 . Phase I is to purchase the building. Phase II will be for the historic renovation. 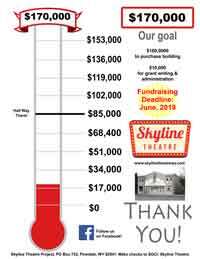 Skyline Theatre Project is raising $170,000 by June 28, 2019 to purchase the Historic Skyline Theatre property located at 14 N Franklin Ave. $160,000 is for the purchase of the building, $10,000 is for grant writing and adminsitration. Crowdfunding launches February 2019!! In the meantime we WELCOME mail in donations made out and sent to the address below. SGCI: Sublette Group for Community of Initiative is a tax-exempt public charity under Section 501(c)(3) of the Internal Revenue Code, Employer Identification Number (EIN) 27-0141575. Your contribution is tax-deductible to the extent permitted by law. Seeking to raise $170,000 for purchase of historic theatre building located at 14 N Franklin Avenue in Pinedale which operated for 40 years from 1941 into the 1980s. HOW TO DONATE: Make checks payable to SGCI: Skyline and mail to PO Box 753, Pinedale, WY 8294. Fundraising deadline to purchase the building is June 28, 2019. We provide manpower for service projects. We are always looking for more people to be involved and contributions are helpful. We operate with a volunteer board. We are a 501(c)(3) charitable organization. Contributions are tax deductible. Thank you! Getting firewood: to help a person that recently had back surgery, and we will stockpile some extra for those "dead of winter crises" to help anyone in need over the winter. Home repair work: Helping a homeowner in Big Piney who got swindled on a home repair job. She paid money but the crew didn't do the work. Total repairs needed are about $15,000. We have helpers to do work and could use donations. We can get discounted materials once funds are collected. This is a large project. Volunteers to help also welcome. Building a handicap access ramp Owner has raised the funds. We will provide the manpower with some assistance from the high school shop class..
We painted a house. The owner provided the paint and fed our crew. Built a handicap ramp and finished a patio. They fed us in trade. Rebuilt a patio. Placed owner-provided pavers and sand. Maintained a yard for an elderly shut-in until she moved to the Sublette Center. Helped a family move from their previous home to a new address after the owner suffered a back injury. They fed us. Check back for more community involvement opportunities and check on the progress of fundraisers. Contact us to add your Sublette County project to this page, call or text 307-360-7689, support@pinedaleonline.com. How can my organization get a ad on this page? This page is a public service of Pinedale Online. Fundraising ads on this page are free to Sublette County entities. 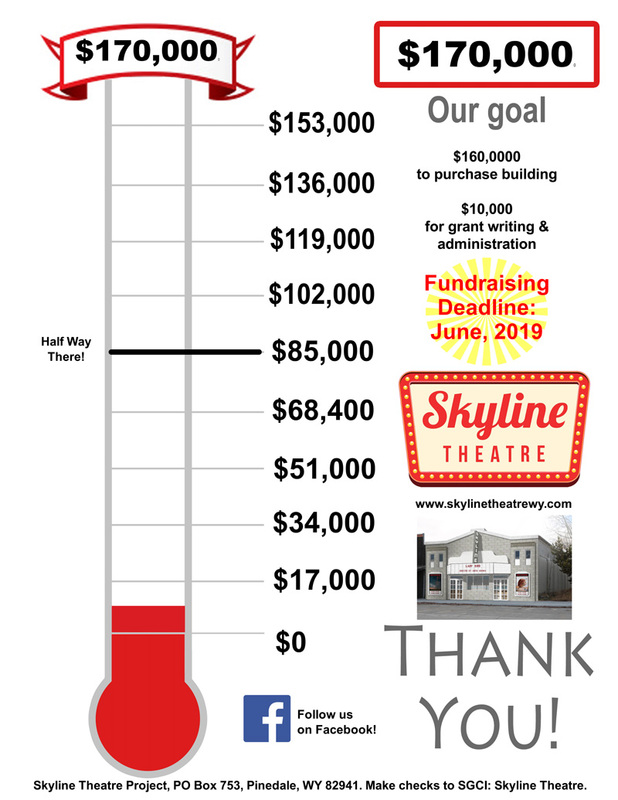 Fundraising thermometer ads must be for a specific financial target goal or project in Sublette County, have a start and end date, with a total $$ goal to be reached. Ads can also be more general seeking volunteer help or listing ways people can volunteer or donate towards the organization's cause. Stop by the Pinedale Online office in Pinedale or call/text 307-360-7689, or email the details of your project. Must include a contact person with phone or email. 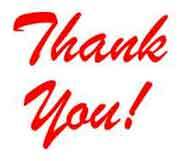 We welcome sponsors of this page. Cost for a sponsor box ad is $25/month. For more information about this page, contact Pinedale Online at 307-360-7689 (call or text message), e-mail support@pinedaleonline.com, or stop by our office located in Office Outlet in Pinedale, 43 S. Sublette Ave, 307-367-6763. Copyright 2019, all rights reserved.